Hello ... Hello ... my old friends ... It's great to see you once again! The general reaction to my previous article THE JEFF LYNNE & PHIL BATES CONTROVERSY has been that it was a balanced assessment of the situation existing presently between Jeff Lynne and Phil Bates, following this article published by The Birmingham Mail on Sunday 30th March. Phil contacted me yesterday regarding my article and has asked if ELO Beatles Forever [ELOBF] would publish his formal response to this Birmingham Mail article, written by Paul Cole. "Recently, on my birthday as it happens, The Birmingham Mail printed a story which accused me of being a 'copycat' and that me performing ELO music was 'illegal'. Having contacted Paul Cole, who wrote the original article, and who failed to research the facts thoroughly enough before he went to press, I received a promise that my side of the story, i.e. the truth of the situation, would be printed. As I write, no such article has appeared. I know that in the grand scheme of things this is a very small and insignificant incident. But I will not have my personal and professional integrity slurred in the way this article, and all that contributed to it, have done. The truth is that neither Jeff Lynne or his representatives have EVER been in touch with me or my agent/promoter in Germany directly to complain about the way we operate in Europe, or beyond. Neither have they requested us to stop doing what we are doing, or issued a 'notice to desist'. Neither have they accused me personally of doing anything 'illegal'. There has been contact on two occasions, and don't forget that I have been doing this in Germany for 11 years. Earlier this year, Jeff Lynne's representatives contacted one of the venues on our South African tour, The Emperor's Palace in Johannesburg, to complain about their on-line advertising of our concert. In this complaint they were completely correct because the concert was billed wrongly as ELO. This happened despite our endless directives to promoters everywhere to advertise our concerts correctly, the correct billing is also contained in ALL contracts for various gigs/concerts. 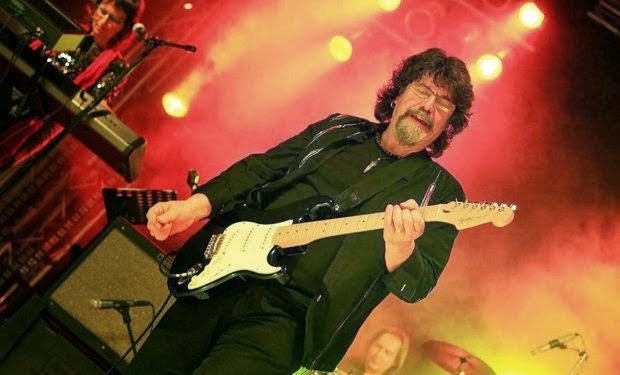 The correct billing is 'ELO CLASSICS performed by PHIL BATES and band, plus the BERLIN STRING ENSEMBLE'. I see absolutely NOTHING ambiguous about this. Our six piece band is billed 'THE MUSIC OF ELO performed by PHIL BATES and band' ... equally unambiguous. But, in South Africa, the mistake was acknowledged and corrected, and the concerts went ahead as planned, and nothing more was heard. But I have to re-iterate that ANY time any of my projects are billed or advertised incorrectly, the fault ALWAYS lies with the local promoter, who will have ignored the contract stipulations and telephone/email instructions, and gone ahead and done his own thing. Contrary to some of the comments I have read since this article, I do NOT think I am Jeff Lynne, or that my band is ELO. Neither do I want to be Jeff Lynne in any way shape or form. Neither am I a 'copycat'. I am involved in many different musical projects which cover a pretty wide range of musical styles, and always have been. The reason I became a musician, and why I remain a musician is because I love diversity, and love to be involved in diverse musical situations. Playing Jeff Lynne's fantastic songs is just a part of that diversity. Anyone that take the time to read my biography will recognize this. Whilst I do not enjoy being criticized or insulted, I recognize that people have their opinions and, of course, they have the right to voice these opinions. But before anyone leaps to judgement, all I ask is that they do it on the basis of having the facts, knowledge and truth at their disposal. And a BIG THANK YOU to all those that have supported me during this ... or at least have not jumped to hasty conclusions." Well said Phil keep up the good you are doing to keep music live and the people that know you and support you have always known the truth. That all sounds perfectly clear to me. When I saw the advertising for the South African concert I was sure it was nothing to do with Phil Bates. He is indeed a very versitile and talented musician with a superb voice and I was privilaged to see him live in York once. He is much too talented to be any kind of low rent copycat or tribute artist (there are more than enough of those around already thank you). It is blatently obvious to me that Phil did not get his right to reply in the Birmingham paper in question as his side will not sell the desired number of copies, relative to the sensationalist headline story that was printed. Unfortunately, careless, wreckless and unresearched stories are often the norm today. I would like to wish Phil Bates well in his future music projects, not only because he is extremely talented, but because he comes across as a thoroughly nice chap... keep doing what you do i.e. bringing joy! (From an ELO fan). ELO Part II and The Orchestra have kept ELO music alive when Jeff Lynne could not be bothered. Now Jeff has decided he wants it all back he has thrown his toys out of the pram. Shame on him. Phil and co have done a great job, and I for one will not be going to Jeff Lynnes ELO! of for all these years. I'm also delighted for all the legions of die-hards out there like myself who have kept the flame burning all these years, patiently confident that their ELO (space) ship would finally come in!! Roy Wood sang he wised it could be Christmas every day... well right, now every day IS Christmas!! !